For this great retrospective, Tate Britain looks back on six decades of David Hockney’s work. With works from private and public collections, some of which have never been shown to the public, this exhibition offers a broad panorama of the artist’s recognizable work that combines paintings, drawings, photos and videos. 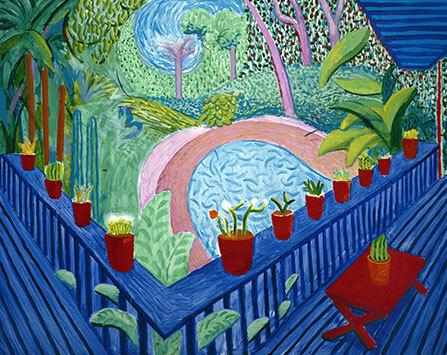 There are also new paintings made in the garden of Hockney in Los Angeles, which are paralleled with older works, thus showing the continuity in the work of the artist.